Sew Slowly: Going organic - a giveaway! I've never run a giveaway before, but I was recently contacted by Vishruti Dev, to ask if I was interested in reviewing her fabrics, which she sells through etsy at EcoFabricStore. I have been thinking on and off about the environmental cost that is attached to quilting cotton and when I find them am keen to use fabrics that are organic and ethical, and these fit the bill, so I thought I'd give it a whirl. All Vishruti's fabrics (which include Organic Cotton, Bamboo, Hemp, Soyabean Protein, Banana and Ahimsa Silk.) are eco Friendly and earth friendly. The yarns are natural and are hundred percent biodegradable. Better still, they are made with natural dyes, like turmeric, onion, myraballams, madder, kesu flowers, dhavadi flowers, natural indigo. This not only prevents water pollution caused by petrochemical dyes but links back to Indian textile tradition - indeed to all ancient textile traditions, which appeals to me. Apparently this is art as much as a science: for instance the rainy season makes it hard to get dyes to dry and high humidity issues cause certain pigments to coagulate, meaning certain colors cannot be prepared in certain seasons. But I like parsnips in the winter and salad in the summer, so I'm all for seasonal. So, the fabrics. I received a parcel of small samples - some prints and some yarn-dyed checks (clearly I didn't pay for these, but there were no strings attached, no payments made etc). Having checked out the etsy shop I was pretty sure I would like the prints and I do. The fabric is soft and light, in indigo and beautiful muted browns and ochres. It reminds me of Art Gallery fabrics, or Kaffe Fassett shot cottons in terms of how it feels. My favourites are the indigo ones and the taupe (?) chrysanthemum print. Can you believe, I own a three volume dictionary for its colour defintions and still find myself want to say 'the light, dull brown-y one'. I hang my head in shame. The surprise of the package for me, though was how much I loved the yarn dyes. They are a very slightly heavier weight (I think they are termed medium weight, rather than light weight) and again are muted earth tones, dull reds, pale blues. These would definitely be my pick! There are loads more fabrics in Vishruti's store, so it's well worth a look, and if you want to win a yard of any fabric of your choice from the store, then this is your chance. Just leave a comment saying what you would choose if you win, and fill out the rafflecopter thingy. I like the red dahlias. Such a pretty color! Thanks for sharing. I really like the taupe chrysanthemum print. It was hard to choose though. I love the blue and white " jungle" print! Thanks for sharing these fabrics with us. I think they are all great, the color is really nice and the print too, I can see using these in many projects. Thank you for the link to this interesting Etsy store! Organic Cotton, Jungle Print,Soft Yellow, Herbal Dyes, Summer print, Indian Fabric,Nature Print, Lightweight, By the Yard, Breathable Fabric - It's got yellow, it's got white, it's modern - very pretty. Thankyou very much for such amazing comments. What pretty fabrics - I especially like the indigo dyed trianlge pattern at top left. I like the taupe chrysanthemum print, its very calming. There are a lot of beautiful fabrics in the Etsy shop. I think my favorite was the Orange, Charcoal, Madder Red, Zen Print. It looked like it would mix with so many different types of quilts. A fun giveaway Kaja! I love the Indigo Jungle Print on organic cotton. ... And I hit enter before typing the second sentence. I love it because it's a fun design and colours that go with just about anything. I really like Organic Cotton, Hand Dyed, Jungle Print, Natural Indigo Dye, Leaf Print, Indian Fabric, Nature Print. Beautiful soft, natural design. The prints are so pretty! I don't think I can pick my favourite! Oh, she has some beautiful fabrics. I like the brown and the blue print she called Cotton Pods. I also like the indigo and yellow tie dye. I've used organic cotton solids on the back of several quilts. They seem a bit coarser than regular fabrics and they had a looser weave...kind of like feedsack or homespuns. 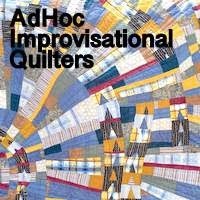 I have to say that they are very nice for hand quilting. All the fabrics I use are biodegradeable...how do I know? Any piece too tiny to go under the needle go into my garden as mulch. It only takes about a year to disappear and the birds use pieces for their nests. I have only been following your blog for a few months and fallen in love with your colour sensibility. Everything you do is very unique and different from what I'm seeing on the net. Thanks for the inspiration and the giveaway! Aren't they beautiful! I think that if you're going to buy new fabrics this is a wonderful way to do it: unique and environmentally friendly. I can just see some of your quilts in these! Very interesting fabrics--love the indigo prints! Oh my gosh, I have to pick a favorite? This is so hard. Umm, I think for this minute, I will pick the indigo glowing paisley, but if you ask me again, I'm sure I will come up with a different one.